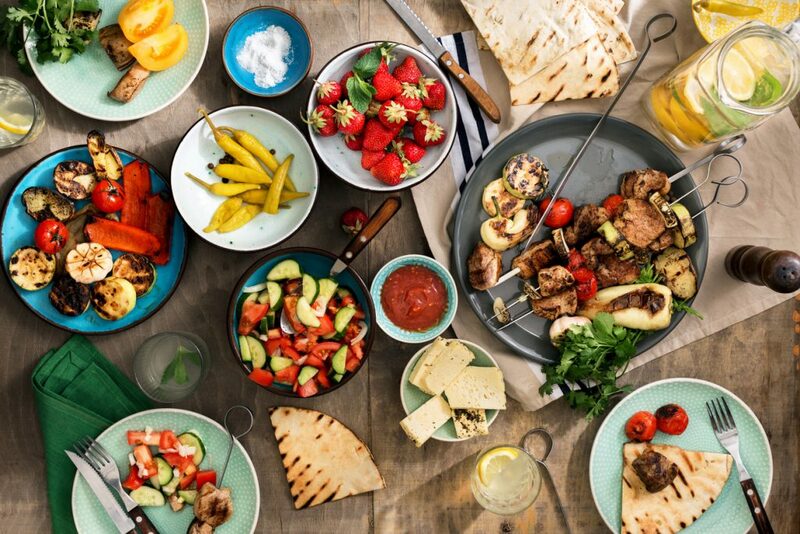 Whether you’re cooking indoors or outdoors this July 4th, there are plenty of principles that apply to both that can help you knock the ball out of the culinary park this summer. To help you up your summer cooking game, we have compiled the best advice professional chefs have given us on holiday cooking, covering everything from planning your holiday meal, to keeping an organized kitchen, to cleaning up afterward. Great cooking and great parties start with great planning. If you’re hosting this July 4th, the groundwork for a lot of your kitchen success will be set before you even pull out the first cooking appliance. That means not waiting until the last minute. A few simple steps can help you get ahead. Decide what appliances you’ll need and put them within easy reach. Prep what foods you can in advance, like chopped vegetables, and think about what kitchen tasks you can delegate. Take inventory of the cooking tools you have at your disposal. Pro chefs recommend a good set of knives and quality cookware. You can plan just about everything but the weather, but bad weather doesn’t mean your party is a wash. You might even discover a new flavor or reunite with an old classic like the dirty water dog. You can still cook most of your summer favorites—chicken, pulled pork, hot dogs, burgers, shrimp, vegetables and desserts—with your indoor appliances. That includes chicken, pulled pork, hot dogs, burgers, shrimp, vegetables and desserts. Your slow cooker, broiler and range will get the job done. Tradition is great, but be willing to venture outside the traditional. Think about how you might incorporate some of your local or family culture into the menu. That could mean something as simple as a nontraditional spice, or planning a full menu based on foods that reflect the regional culture. Talk to farmers at the local farmers’ market for inspiration and unique ingredients. Sometimes, they’re cooks, too, and will share recipes and cooking tips. Food safety should be a priority all times of the year. Keep any meat in your refrigerator at 40 degrees Fahrenheit or below until you’re ready to cook. A good digital thermometer will make it easy to check whether your meats are done. They should be a minimum of 165 degrees in the center of their thickest point. Finally, is the party over? Hopefully, you haven’t put off all of the cleaning to the end. Do whatever cleaning you can as you go. Are you done with that hand mixer or immersion blender? Will you need it again? If not, clean it and put it away. That goes for any tools or appliances you’ll use. You will enjoy the party more if you know there isn’t a pile of cleaning-related tasks waiting for you after the fun is over. Don’t forget to have a plan for your leftovers. Most can be stored safely for 3-4 days in the refrigerator, according to the Food Safety Inspection Service. Refrigerate hot foods within two hours of cooking. Do you have a great July 4th or summertime party cooking, planning or cleanup tip? Let us know in the comments. We’ll have more later this month on July 4th parties, summer get-togethers and how your appliances can help you make memories this summer.